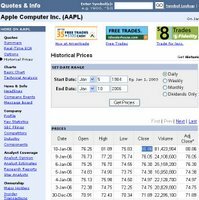 Apple’s shares closed yesterday at $80.86 – on the very same day CEO Steve Jobs introduced the company’s first-ever Macintosh computers based on Intel microprocessors at Macworld Expo. 8086 was, coincidentally, Intel’s first 16-bit, x86 processor. 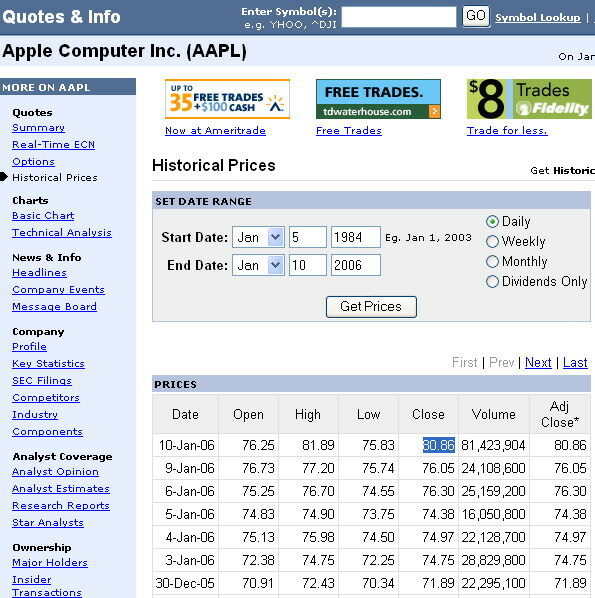 It shipped in 1978, the year after Apple was founded. This was followed by the 8088, which was used in IBM’s first PC in 1982.